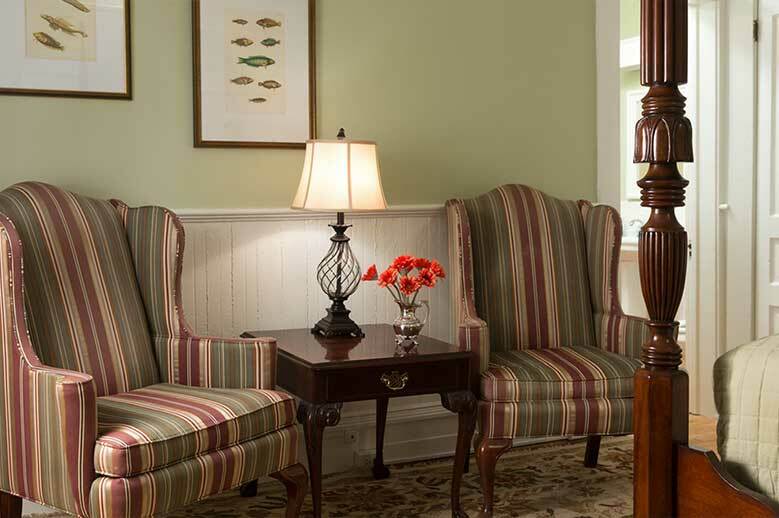 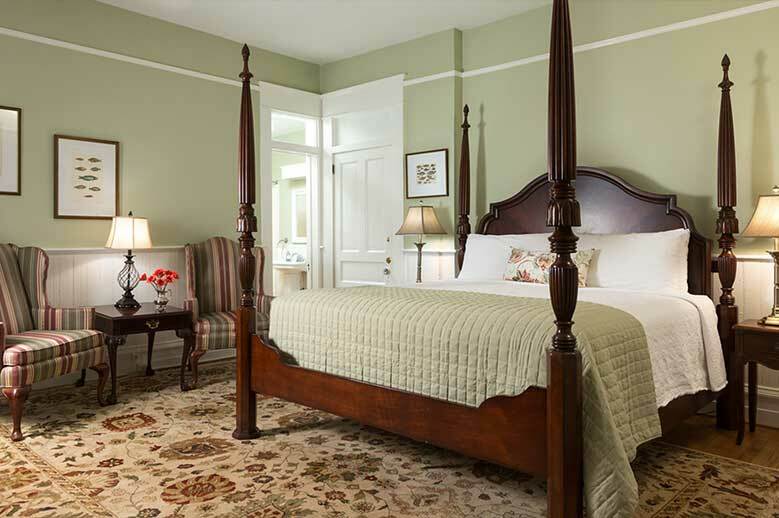 A memorable North Carolina getaway awaits in our #1 rated restaurant and top rated Inn property. 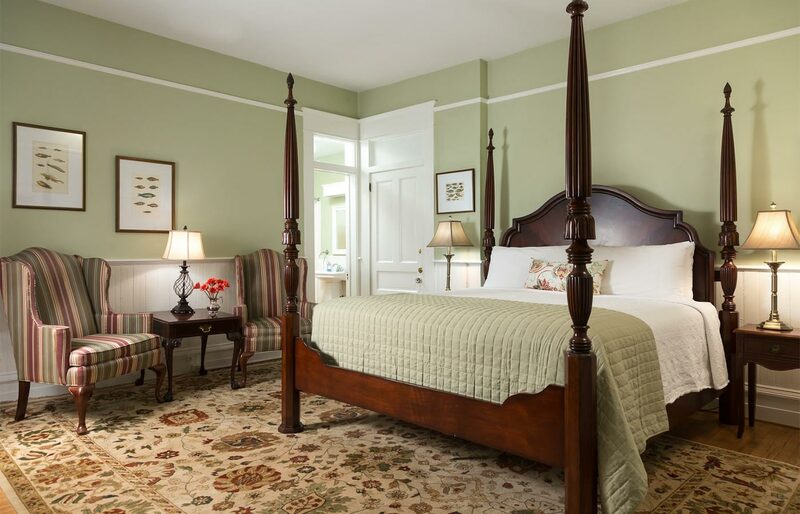 Oversized and with eleven foot ceilings, on the second floor toward the back of the mansion, the Joseph Hewes Suite eludes to the grandeur of days gone by. 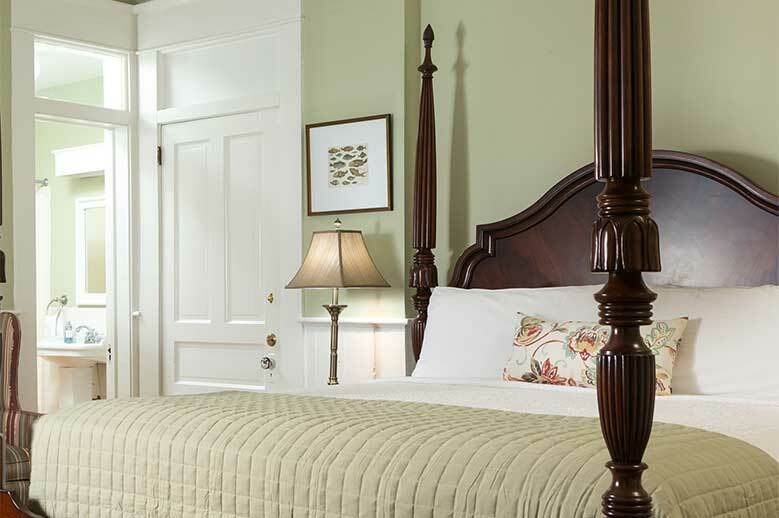 Mahogany four poster bed with king sized pillow top mattress, hand pressed linens, cotton matelassé coverlet and pillows. 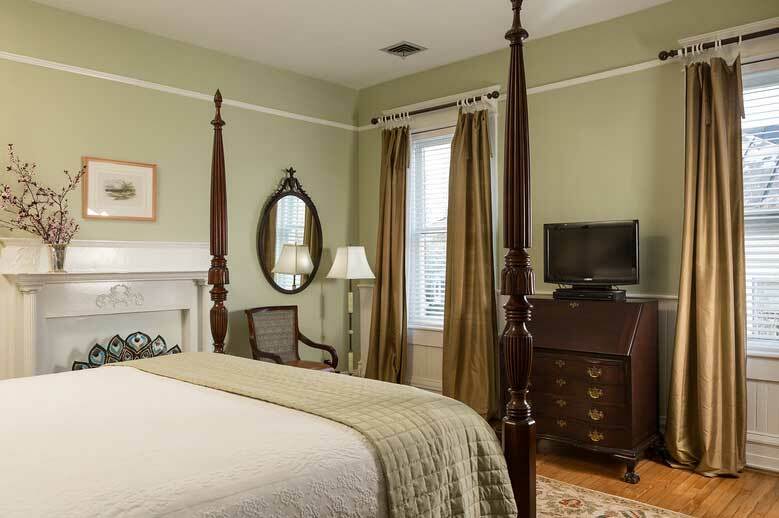 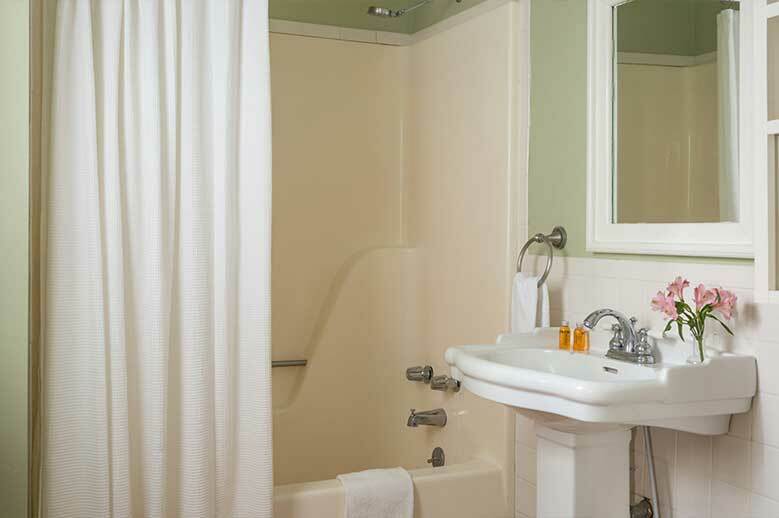 Restful soft gold walls with silk draperies, two Martha Washington chairs, writing desk, tub with shower, and premium towels and robes complete this charming suite. 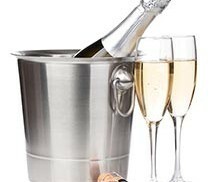 Chocolates, cheese and crackers, single rose and sparkling wine.